Farotti Essenze, a leading Italian fragrance manufacturer, celebrated the successful performance of its latest product family, that aimed to reproduce and recall the typical atmospheres of a Mediterranean summer; and it is now ready to introduce further novelties. Letizia Farotti, general and purchasing manager at Farotti Essenze, a world renown Italian manufacturer of fragrances, pointed out in an interview that passion is the key element of the company’s business. The summertime is, in the Mediterranean countries, as well as in Italy, a synonym for passion, and the season in which this characteristic is expressed at its best. Therefore, this is maybe the reason why the producer, based in Rimini, on the Adriatic sea, decided to dedicate the flavours of summer an entire line of brand new fragrances. The choice was successful and today Farotti Essenze can look forward to releasing further novelties while, at the same time, developing a new sales and marketing strategy, building upon the opportunities that both the Internet and the most popular social networks can nowadays offer. All of these topics were covered by Letizia Farotti herself, in a recent talk with KosWorld. What were the most important and prominent aspects of the A Summer to love line? Our company placed great emphasis on its A summer to love line of products, especially because we wanted it to talk about the summertime, a most important and special moment in the lives of those who, like the Farotti family, were born and bred on the seaside. Our goal was that to describe it by virtually designing a journey through fragrances. It starts with the idea of a motorcycle trip, because the Wild Metal fragrance wants to reproduce the various nuances of metal and leather, while simultaneously recalling the typical perfumes of a road trip and suggesting the smell of wood and trees. The second product, called Marine Design, owes its inspiration to the joyful moments one could experience during his/her holidays on the beach, and aims to describe a typical tourist’s relaxed mood. Finally, Paradise Breeze was developed in order to give users the idea of an appetizing drink to sip on the shores, with an aroma of refreshing fruity cocktails and nuances of citrus fruits and fresh fruit in general. Did the response you received from customers meet your expectations, Mrs. Farotti? We introduced this new portfolio by organizing a dedicated event at our headquarters, in Rimini, late last spring. We called it an olfactory cocktail party and its goal was that to combine our fragrances with appetizers and drinks, in an effort to replicate the sensations of pleasure that we meant to offer. The response we obtained both from our guests and from the market was, in my opinion, perfect. All of the aforementioned essences have peculiarities of their own, but nonetheless they are meant to be linked one another by a sense of continuity. Could you give us an idea of your next moves and plans for the forthcoming winter? Of course, the end of the summer also represents an important time of changes, as if it was a new beginning of the year. It is also the right moment to give birth to further innovative initiatives, ranging from the launch of new product lines to a company reorganization. We are striving to proactively manage an unavoidable generational turnover and my sisters and I realised that we would like to give our firm a different imprint. Our aim is now that to express something fresher and lively, but nonetheless in line with our past history. On the one hand, we are planning strong investments in the research and development department, also by recruiting new and young human resources. Often, university students attend a period of internship at our company, and sometimes this turns into the opportunity of a full time contract. At present, our staff is made up of 23 professionals, but research and development activities are crucial in order to meet the market requests, in terms of innovation, first of all, and in terms of creativity: design skills are most appreciated and support our competitiveness. Which of your departments are to be reshaped due to your reorganization strategy? It is our intention to implement a higher level of automation in our productionlines, so to be able to provide our clients with a more significant added value and faster services, assuming that the ability to give them the quickest response possible is a critical aspect. Furthermore, our efforts are devoted to address customers with a wider, more complete consultancy offer. Our newly implemented manufacturing system can help us reduce errors and allows the company to achieve more satisfactory results. Another important topic is represented by the ISO 2015 Quality System certification we are planning to obtain within one year or so, together with the Good Manufacturing Practices or GMP certificate. Finally, it has to be said that a part of this restyling is rather easy to be carried out, whereas a critical issue is the start-up of a new laboratory, equipped with more updated and modern instruments. The lab will give us the chance to deploy testing procedures on our products: this plays an important role in our service strategy, and will help us gain a competitive advantage on the market, given that Farotti Essenze is frequently forced to confront larger-sized corporate players worldwide. What kind of products will Farotti launch in the near future and what is their target? A newly developed line, based on the concept of emotions, is to be introduced by the end of 2017, although emotions are going to be our leitmotiv in 2018 too. No further detail can be disclosed at the moment, but I am certain that our forthcoming catalogue has many chances to reveal surprising. We want it to be evocative and to be based on the so-called olfactory memory. But further projects are today in a preliminary phase of development. 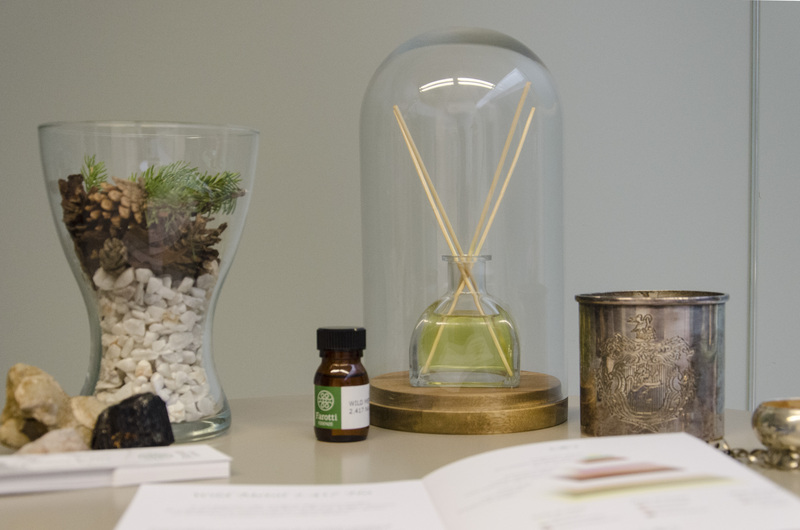 As for our ideal target, we are aware that such products as air fresheners are undergoing a moment of steady growth and are transforming into elements of interior design, not just perfumes. Thus, our expertise is growing too, while at the same time we are looking at niche, luxury perfumes, that give the concept of perfume itself a revolutionary interpretation. One of Farotti’s points of strength is customization: we can address clients with tailor made items. Could you explain our readers your idea of a revolutionary interpretation of perfumes? It is suggested by the fact that, while in the recent past the market was dominated by a small number of leading brands, today it displays much more open to alternative perfumery and craftwork, artistic solutions. Marketing strategies play an important role in such a scenario, because these products need to have a tale to tell in order to succeed and attract a customer’s attention. From a strictly technical point of view, raw materials are undergoing major changes too, since consolidated traditions seem to have a lesser influence on formulations than they used to. In a few words, the way a perfume is manufactured is changing dramatically, together with the potential customer base. For instance, men pay a growing attention to cosmetics, beauty and wellness and boundaries between gentlemen and ladies are growing thinner. Both genders seem to appreciate animal, dark, warm nuances, sometimes sweetened by other, softer and smoother aromas. Perfumes own the ability to deliver clear messages to the outer world and contemporary males are becoming more sensitive to personal care. Farotti Essenze has recently carried out a complete restyling of its Website and considers it «an important step forward», although at present no e-commerce strategy is at sight. The goal is, then, that to deliver customers the information they need, since «this aspect proves most useful in orientating their choices and purchases». Therefore, the site is made up of news, basically, in order to describe Farotti’s everyday business the most detailed way possible. The Rimini-based producer is also intentioned to increase its visibility on such social networks as Facebook, aware that this powerful tool requires dedicated strategies and human resources. According to Letizia Farotti, «global markets are undergoing a positive moment, a recovery is underway and witnessed by the debut of a number of new, young start-ups». 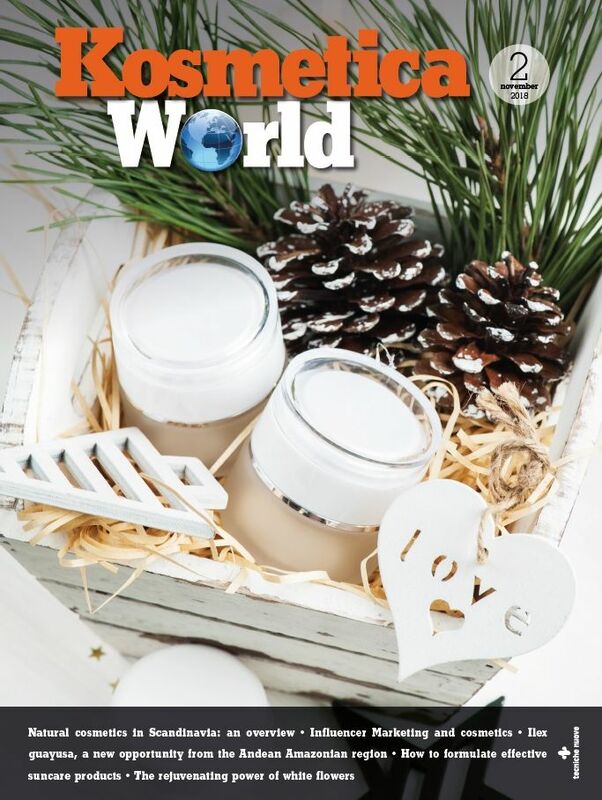 An important, and encouraging element, is represented by the fact that «young entrepreneurs are entering the cosmetics scenario with courage and passion». The general and purchasing manager stated that the firm is open to partnering up with these emerging businesses, and to supporting them in their growth strategy. Farotti aims to increase its presence overseas by establishing further distribution deals and channels. Therefore, it is allegedly looking forward to taking part in the next In-Cosmetics in Amsterdam, a chance to consolidate relations of this kind.